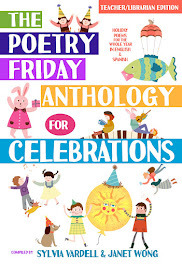 Poetry for Children: The Poetry Friday Party is HERE! 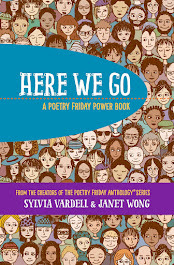 Yay for a new Poetry Friday Anthology! 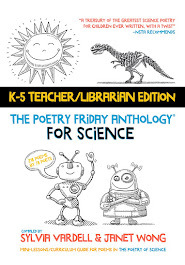 The teacher recipients are loving their PFAS editions you so generously donated. Thank you! Thank you for hosting, Sylvia. What an exciting announcement! Celebrations is a great theme for an anthology. I love Janet's "Hooray for Dogs." Thank you for the Take 5 activities. They are such a time-saver for teachers. I'm in today at Write Time: http://lindakulp.blogspot.com/ with a poem from the Inner Chimes collection I think many of us can relate to. 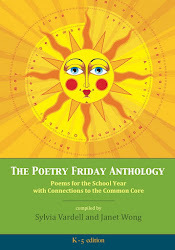 I love the celebration theme of the upcoming Poetry Friday Anthology. Thanks for hosting this week, Sylvia. I have a brief review of a beautiful rhyming picture book, "By Water's Edge," by Kay Barone http://monicagudlewski.com/2014/07/24/poetry-friday-by-waters-edge/. Hi, Ladies. Classroom activity #4 is exactly what I'm doing this summer. Today, I'm announcing a new series: "Summer Reads: Chapter & Verse." I'm looking for guest bloggers to pair their favorite summer reads with a poem. 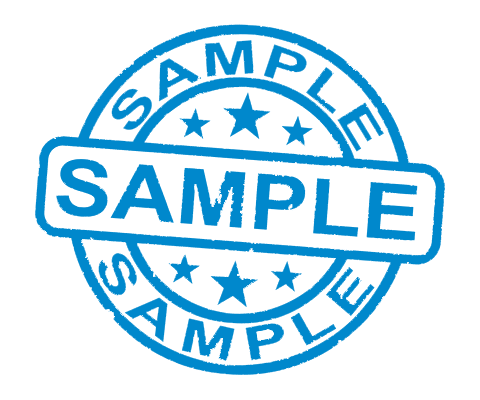 My sample post pairs a historical YA with Edna St. Vincent Millay's "First Fig." 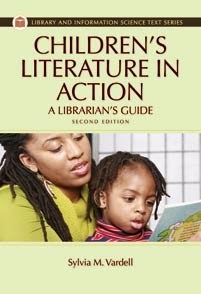 I'll try not to drool all over it, but it sounds like another winner PFA edition! Can't wait! Thanks for hosting today, Sylvia and Janet. On Today's Little Ditty, I'm wrapping up a month of tribute and parody poems and giving away a copy of Tamera Wissinger's THIS OLD BAND. Thanks for hosting - Woof! Thank you for hosting, Sylvia and Janet. 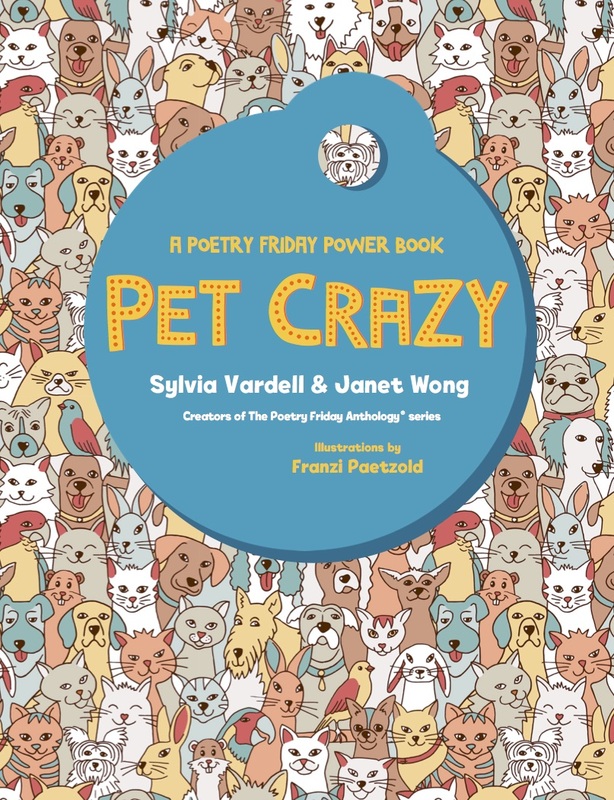 What great news on the PF Anthology front and such a great topic! A toast to your brilliance! I'm in today with an original fractured-fairytale poem, illustrated by the wonderful Julie Rowan-Zoch. 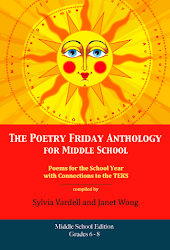 My submission for this week's Poetry Friday can be found at http://beyondliteracylink.blogspot.com/2014/07/souvenir-from-reflect-with-me-summer.html. It is my teaser for the new gallery of artistic expressions that I will unveil in late August. The poem is based on two photos of driftwood and how I related to the images. 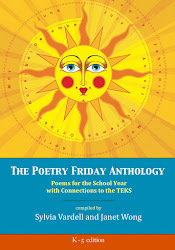 I'm so excited about another Poetry Friday anthology. The others are fast becoming staples in my classroom. 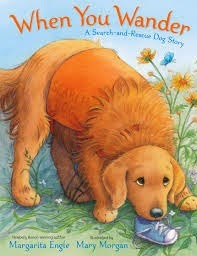 I am a dog lover and this poem is just right with rhyme and rhythm and jumping for joy for dogs. I have a blog gem poem especially for me by Donna Smith, a Summer Poem Swap gift. Thanks for hosting. So excited to hear about everyone's posts--can't wait to do the rounds and visit everyone! And thanks for all the enthusiasm about the new book--we're pretty looking forward to getting started with gathering poems in Sept! Exciting news! Time to crank up the Poetry Writing Machine! My summer travels have led me to a Journey poem for today. Love the idea of a celebrations book. Librarians are always looking for an excuse to celebrate! Looking forwarding to the celebrations book. Great idea! Celebrations is a theme to set off sparklers. Can't wait for the 1 Sept. deadline to write for submission info to roll around. Luv Janet Wong's canine celebration here. My bookseedstudio hasn't anything new up, in hopes that I can finally enjoy & comment on everyone's new links on PF - something I haven't achieved yet. Wish me luck! What fun, what fun!! Thank you, earlybirds, for sharing your links and for your many lovely comments about our Celebrations project. Janet and I are looking forward to your input! Meanwhile, Happy Poetry Friday, everyone! What a fun anthology this will be! I'll be brainstorming in preparation for Sept. 9. 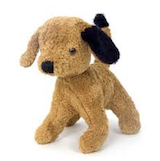 Love the dog poem, too! I have a Poetry Friday original poem about butterflies at http://kerirecommends.com/2014/07/poetry-friday-a-butterfly-cinquain/. Thanks for hosting!! 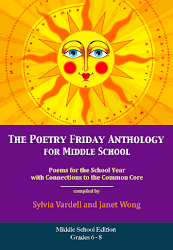 Hooray for an new Poetry Friday Anthology! Thank you both for all the work you do to promote poetry! Today I'm sharing E.L. Aveline's poem, "Flowers of the Sea." So sorry, just realized that I posted the link to YOUR site and not mine - please update in the summary, thank you! 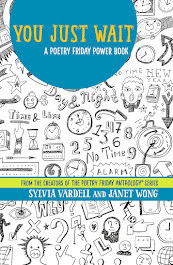 Hooray for a new Poetry Friday anthology! I'm in this week with a post on putting together a poetry chapbook: http://kellyrfineman.livejournal.com/837172.html. 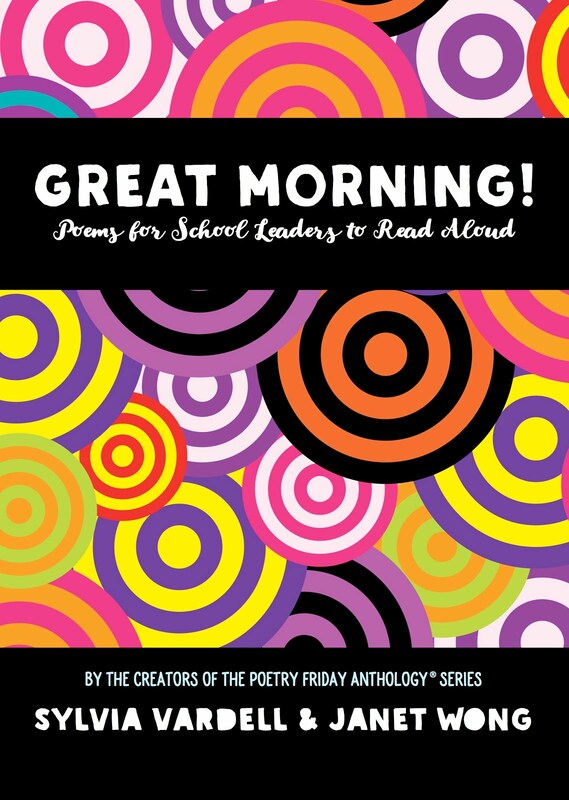 Excited for another Poetry Friday Anthology! I love my Science Edition. Very excited about the new anthology. What a great topic. Thanks for posting all these awesome poems. National Day of the Cowboy is Saturday, July 26, 2014. So for this Poetry Friday my selection is "Cowboys: voices in the Western wind" poems by David L. Harrison with illustrations by Dan Burr. for a very impoetry date! I love the drum roll animation, Sylvia! Thank you for hosting Poetry Friday today. I'm sharing a ten-year-old refugee's vision of peace. The verses were taken from a collection called I Dream of Peace: Images of War by Children of Former Yugoslavia. I'm running a little late, but I'm in this week with Wendell Berry. It's here. Thanks for hosting! I'm in today with a poem by Henry Wadsworth Longfellow. Thanks for hosting today. Sorry I'm so late to the party. Maybe I can help with the clean up. Oh, I like the theme for the next anthology. Thanks, everybody, for joining us for our Poetry Friday party! It's great to connect again. Thanks for the enthusiastic response to our new book theme, too. We 're excited about it! Meanwhile, wishing everybody plenty of fun AND poetry this summer. Congratulations on the next installment! Wonderful! I didn't manage to write until Saturday morning, but here it is in honor of Poetry Friday: Nearly Fifty. Thank you! Magic! The eldest in my class is 95 y.o. - the youngest 86 - but I write poetry with 12 kids at heart! I'm the baby teacher at nearly 70. The site introduced this morning by Di Bates, the founder of Australian Children's Poetry. Can't wait to show it to my poets on Thurdsay!! The most fun site! Interactive too! I'm late to the party but my pointed hat is on and their are streamers in my hair! Can't wait to begin celebration poems! Well, I am so glad that my post surgery fog left me and I started reading blogs again. I am excited about this project!